No industry is immune… now disruptive technology is looking to change the whisky industry. IT IS HARD to imagine a manufacturing process more sluggish than making whiskies. The most revered are aged for between 10 and 20 years. Innovation has also been slow. The last big breakthrough, patented in 1830, was a more efficient still. Barrel-ageing, which takes place after distillation, has been around for centuries. Without it the liquid has no colour and is unpalatable. Nor can it be called whisky under Scottish law. Because whisky (or whiskey as it is known in Johnny-come-lately jurisdictions such as Ireland and America) takes such a long time to make, planning for fluctuations in demand is difficult. The industry often sounds the alarm about catastrophic shortages on the horizon, although this could, in part, be to drive up prices. Developing new recipes can also take decades. Any distillery wishing to try a new flavour or process has a long wait to sample the results. Often it is not very good. If it is, there will be another long wait to make more. Cumbersome business models like this are catnip for companies seeking to shake up an industry. Endless West, based in San Francisco, is one such. It has done away with barrel-ageing entirely. Using a gas chromatograph, which separates a mixture into its constituents and then spits out an analysis of that mixture’s make up, the firm’s researchers claim to have identified the molecules which give different whiskies their flavours. Josh Decolongon, Endless West’s chief product officer, says a compound called 4-ethylguaiacol transports him to, “a chilly holiday night spent indoors…burning logs and sweet spices”. Ethyl butanoate, on the other hand, he associates with candied apples, tropical fruit or perhaps grapes. Decolongon and his team use a mixture of techniques, including distillation and solvent partitioning (taking advantage of the different solubilities of most chemicals in water and oily liquids) to extract these and other compounds from things like plants, yeasts and barrel wood. Once they have obtained these flavours, they add them to pure ethanol bought from an outside supplier. The result is Glyph, a spirit that takes around 24 hours to make and sells for about $40 a bottle. 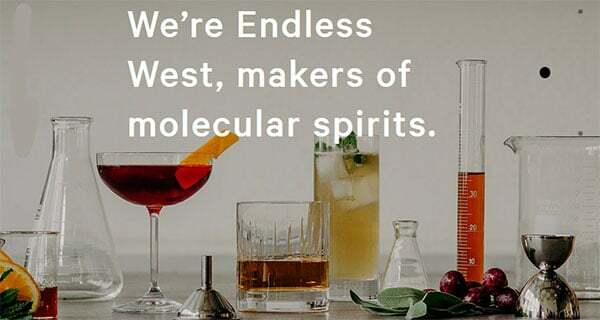 Endless West is the only company so far to eliminate ageing entirely, but at least seven others are speeding the process up. In Los Angeles, for example, a firm called Lost Spirits inserts heated barrel wood into distilled spirit and blasts it in a reactor to quicken the process. That takes six days, and produces a drink called Abomination: Sayers of the Law. Lost Spirits’ founder, Bryan Davis, says this tiny lead time means manufacturers could use his machines to experiment rapidly with all sorts of new flavours. For mass production, the cost of the process is unlikely to compete with the economies of scale found at the low end of the market. But he sees a benefit at the high end, and reckons he can produce, for around $50, bottles that if made conventionally would cost around $250. All this will count for little if age-defying whiskies taste bad and people will not buy them. The Scotch Whisky Association, a trade body which represents Scotland’s whisky industry, bristles at the idea that production can be rushed or replicated. What happens over years spent in a barrel “is part of the wonderful mystery of whisky”, they say. Mystery, though, may be no substitute for science. Abomination has received some excellent reviews, and chromatographic analysis of it reveals a similar chemical signature to that of conventionally-aged whiskies. Glyph’s reviews are mostly mediocre, although your correspondent found it tastes good when mixed with a slug of ginger ale. Entrepreneurs seem, in any case, unlikely to be perturbed by the naysayers. Endless West has attracted investment from Horizons Ventures, a venture-capital firm that was an early backer of companies like Facebook, Skype and Waze. Lost Spirits is opening a production facility with a capacity of 20,000 cases a year. Both firms’ products are proving popular with tech-minded youngsters who enjoy the stories about a break with tradition. Meanwhile another age-defying distillery, Tuthilltown Spirits, in upstate New York, is trying a different approach. It agitates its barrelled whiskies to accelerate maturation. Its workers do this by placing bass shakers around the warehouse and playing loud music through them. They say bass-heavy dubstep works best.